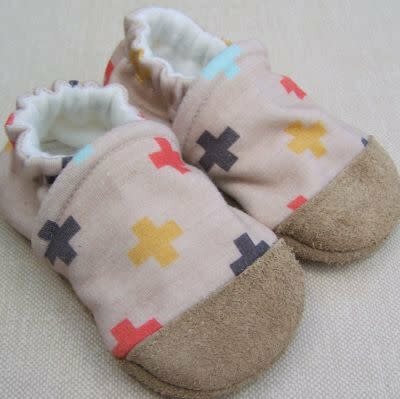 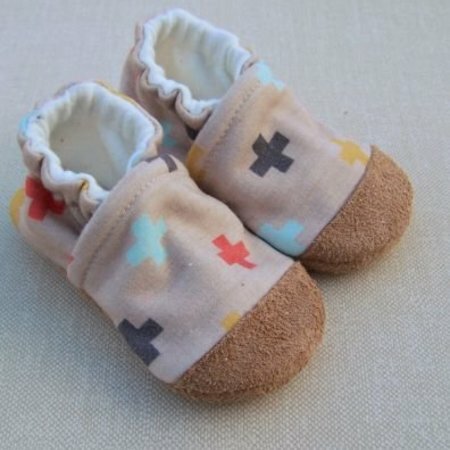 Handmade with love, Snow and Arrow slippers are crafted from recycled fabric scraps of wool and/or cotton. 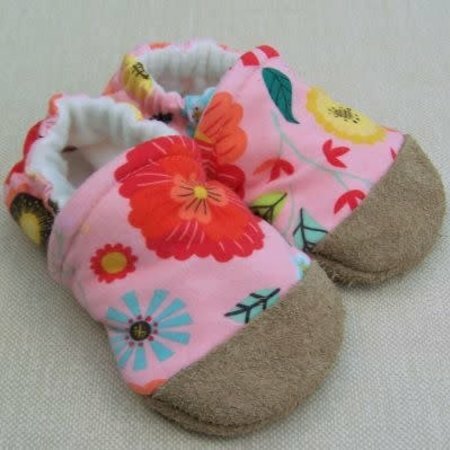 With non-slip leather soles and a fleece interior, these slippers are sure to keep your little one's feet comfortable in any weather! 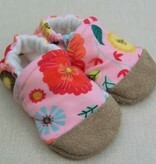 Available in sizes 0-3 mos., 3-6 mos., 6-12 mos., 12-18 mos., 18-24 mos., 2T, 3T, and 4T.